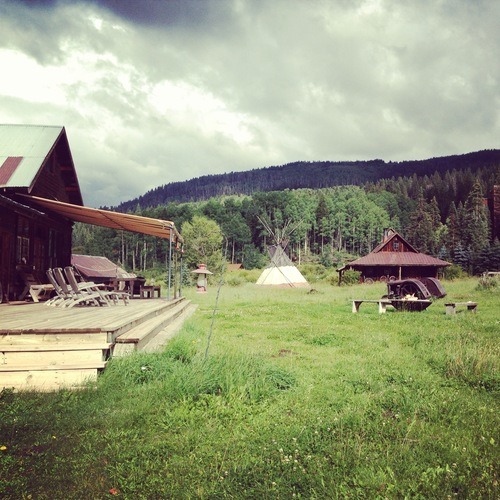 Maudie from our North America team recently went to the Rockies, where she fell in love with the luxury resort of Dunton Hot Springs in Dolores, Colorado, here’s what she got up to. Tucked among the San Juan Mountains just an hour from Telluride or Cortez, Dunton is a former mining town settled back in 1885. When the gold miners moved out, it was a ghost town until its owners bought it back to life as the luxury resort of Dunton Hot Springs. 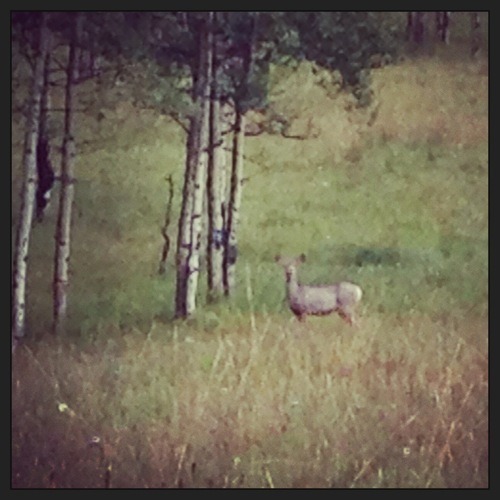 For anyone yearning to get away from it all and feel truly content with life, Dunton is a breath of fresh mountain air. I arrived here on a small Beechcraft plane in from the Mile High City of Denver and drove the scenic road through ranch country where cattle roam and horses are abundant. Dunton Hot Springs takes its name from the natural hot springs that give the resort its name, the restored freestanding bathhouse built in the 19th century provides guests with a hot mineral soak, required after a day of activity whether its horse riding in the high Rockies, biking or hiking the nearby ruins of Mesa Verde National Park. 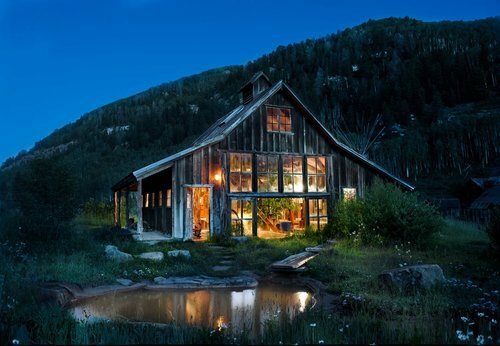 Dunton accommodates around 40 guests, in beautifully restored log cabins, all of which have attention to detail worthy of an upscale décor magazine feature. 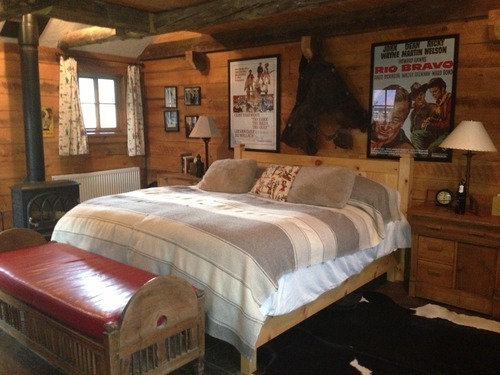 My cabin is the old Dunton Store where miners would have bought their supplies – todays its all western chic filled with cowboy film memorabilia with a cosy king bedroom and two little bedrooms that make idyllic sleeping dens for children up in the eves. Out the back door, I have my own porch and hot spring overlooking the meadows and mountains. There are just 12 guest cabins at Dunton of varying sizes and one Pony Express Cabin, where the express riders would have stopped off on their journey. Today it’s a tranquil spa where guests can get a massage, rather than a message. 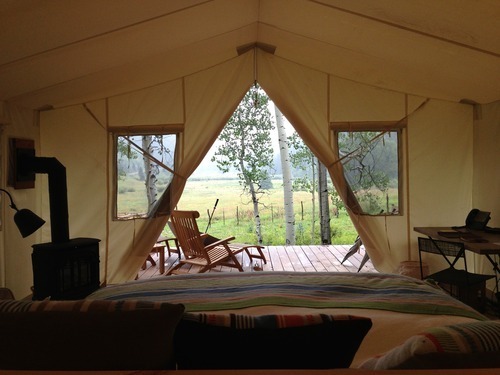 Four miles down the road is Cresto Camp, Dunton’s latest offering of sublime safari style tents and guests should consider combining staying at the two spots if on an extended stay. The tents afford every luxury, including complete peace and quiet. Your tent will come complete with a cosy log-burner, private deck overlooking the mountains or the river, and a pair of mountain bikes so you can go exploring. Award-winning food and wine is a top priority at Dunton, Chef Carrie Eagle perfects her dishes in the open kitchen of the towns saloon. Our evening set menu is served communal style so guests can mingle – the champagne clams, wagu beef and homemade strawberry ice cream was standout, all served up with wines from the properties own Suttcliffe vineyards. Pre and Post dinner cocktails can be ordered at the saloon bar, with engravings from notorious miners and robbers including Butch Cassidy who famously robbed the banks of nearby Telluride and hid out at Dunton. With thundery skies looming over the Mountains, the rain dampened the opportunity to saddle-up the next morning but relaxing in the hot springs and reading a book in the quirky library – a gift from the owner to his wife – with fascinating reads from native Indian history to art is perfect for a rare rainy day. When the weather clears up, I get a hiking map and walk the Winter Fall Trail, a beautiful loop cutting through alpine woodland, beaver dams and meadows with wildflowers galore and deer grazing. 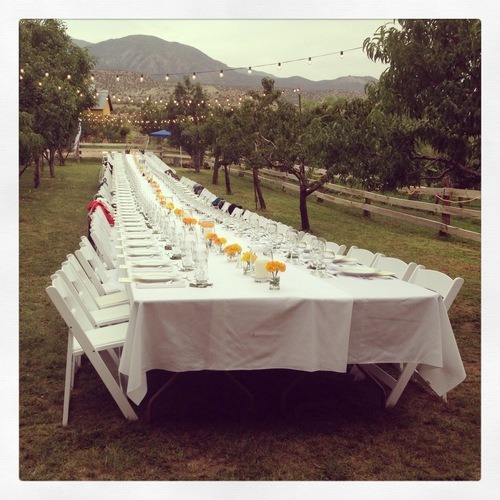 In the evening we are invited to a spectacular Harvest dinner and wine event at Suttcliffe Vineyards. Located a two hour drive from Dunton at the foot of the sleeping Ute Mountain 3,000 ft down the mountain, the landscapes are vastly different. The high-desert weather provides the sun that ripens the fruit to make excellent Merlot, Chardonnay, Cabernet Franc, Syrah and Petit Verdot. 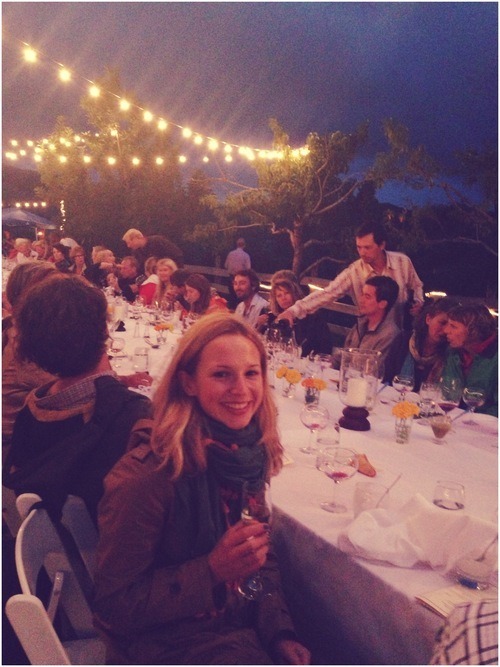 I am one of 120 guests attending the dinner, and we dine on a spectacular five course meal with wine pairing al fresco in the vineyard. The harvest dinner is an annual event, but guests of Dunton can visit the vineyard and make a day-trip out of it with a hike among the red-rock landscapes, before enjoying a wine pairing lunch. Those content with staying in the mountains can invite John Sutcliffe up to Dunton, for a personal wine tasting. At Dunton anything is possible with a little warning – romantic dinners or private camp fires with s’mores are prepared with aplomb. Guests come for the fly fishing on the Dolores River of which there is 9 miles of waterways to fish guided or unguided, mountain biking, a taste of the wild-west with a day pack riding and the endless hiking trails. In the winter, snow shoeing, ice skating and heli-skiing right out of the center of town replace the summer activity. Dunton town feels like a home from home, guests may do as little or as much as they please. The only thing they absolutely must do is work up enough of an appetite for the next spoiling feast served up by chef Carrie and her talented team in the old saloon. It’s a little slice of heaven on earth.